Honda invites Kurzweil as "perfect match" for Congress theme of "Leading Mobility Innovation"
Ray Kurzweil, a director of engineering at Google and a world renowned American futurist and inventor, will be the opening speaker next month at the SAE 2015 World Congress & Exhibition. As the company providing Executive Leadership for the 2015 World Congress, Honda is sponsoring Kurzweil's address as an expression of the event theme -- "Leading Mobility Innovation." "The visionary spirit of Ray Kurzweil is a perfect match for the kickoff of the world's most important gathering of automotive engineering talent," said Erik Berkman, general chairman of the 2015 World Congress and executive vice president of Honda North America, Inc. "Our industry is in the midst of a period of rapid and surprising change and we are excited to bring his challenging ideas to energize this Congress." More than 11,000 automotive engineers are expected to attend the SAE 2015 World Congress, April 21-23, at Cobo Center in Detroit. The Congress will feature 1,500 presentations and the release of more than 1,400 technical papers. Honda is providing Executive Leadership at the Congress with Continental serving as the Tier One Strategic Partner. At Google, Kurzweil leads a team that is developing machine intelligence and natural language understanding. He is best known as one of the leading experts on artificial intelligence in the world. 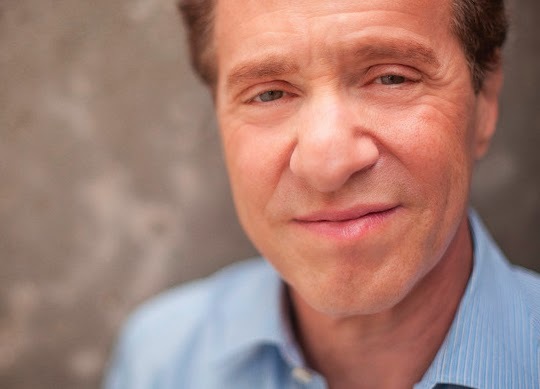 The author of five national best-selling books and considered one of the world's leading futurists, Kurzweil has predicted that during the first half of this century computer intelligence will overtake human intelligence. Kurzweil is the holder of 20 honorary doctorates and an inductee of the National Inventors Hall of Fame, as well as a recipient of the National Medal of Technology. As a leader in the field of optical character recognition, he led a team to create an application that allows the blind to hear words photographed with a smart phone. Tahmid Mizan, senior technology adviser, Corporate Strategic Planning, ExxonMobil Corp.
Helmut Matschi, executive board member, Continental VDO Automotive, AG. The banquet speaker for the final event of the Congress will be Frank Paluch, president, Honda R&D Americas, Inc.
For more information about the SAE 2015 World Congress, visit hondanews.com or sae.org/congress. Honda established operations in America in 1959 and now employs more than 39,000 associates in its North American sales, R&D and manufacturing operations with total capital investment in North America exceeding $22 billion. Based on its longstanding commitment to "build products close to the customer," Honda operates 17 major manufacturing facilities in North America producing a wide range of Honda and Acura automobiles, automobile engines and transmissions, Honda all-terrain vehicles, power equipment products, such as lawn mowers, mini-tillers and general purpose engines, and the HondaJet advanced light jet. Eight Honda auto plants in the region, including four in the U.S., have the capacity to produce 1.92 million automobiles each year. In 2014, more than 97 percent of the Honda and Acura automobiles sold in the U.S. were produced in North America. Those plants today manufacture 12 different models, including five passenger cars and seven light trucks using domestic and globally sourced parts. A fifth U.S. auto plant, the Performance Manufacturing Center, is under construction in Marysville, Ohio, and will become the exclusive global production location for the next generation Acura NSX supercar. Honda also operates 14 research and development centers in the U.S. with the capacity to fully design, develop and engineer many of the products Honda produces in North America. SAE International is a global association committed to being the ultimate knowledge source for the engineering profession. By uniting more than 147,000 engineers and technical experts, we drive knowledge and expertise across a broad spectrum of industries. We act on two priorities: encouraging a lifetime of learning for mobility engineering professionals and setting the standards for industry engineering. We strive for a better world through the work of our philanthropic SAE Foundation, including programs like A World in Motion® and the Collegiate Design Series™. Honda Plans to Bring Civic Hatchback to U.S.